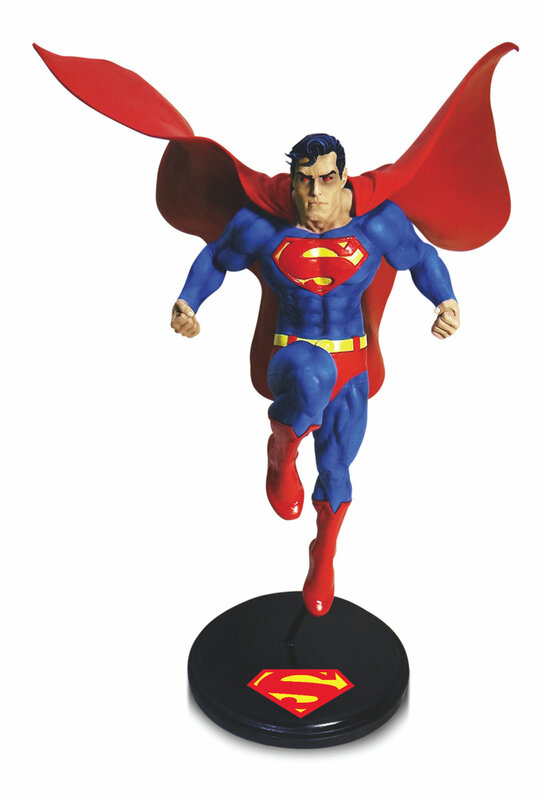 Vroman’s Bookstore in Pasadena has scheduled a signing featuring comic book artists Jim Lee and Andy Kubert. 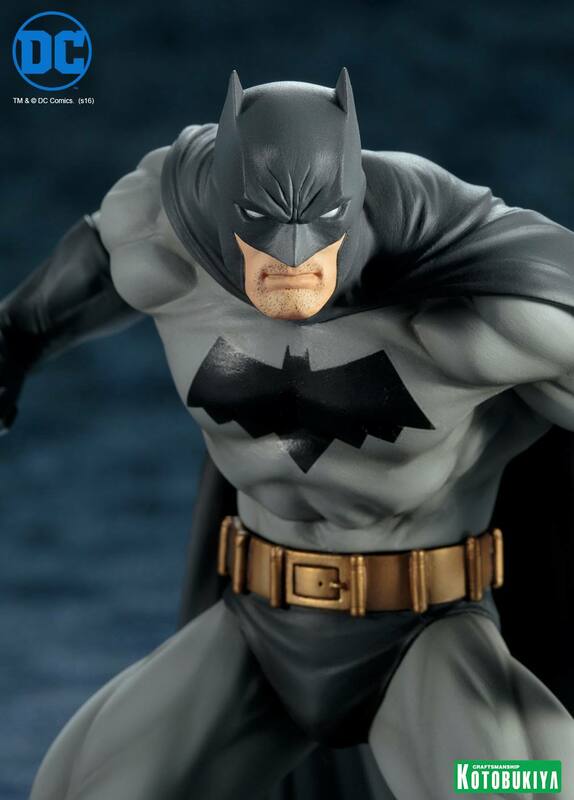 The event is in celebration of Batman Day and will be held on September 15, 2018. 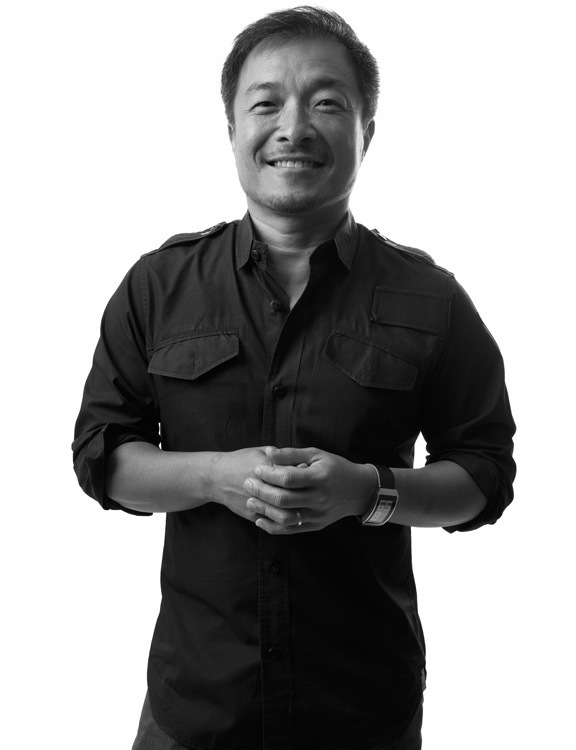 Jim Lee, a world-renowned comic book artist, writer, editor and publisher, is currently Chief Creative Officer of DC Entertainment (DC) and serves as Publisher of the company alongside Dan DiDio. Known for his incredibly detailed and dynamic artistic style, Lee is one of the most revered and respected artists in American comics. A veritable legend in the industry, he has received numerous accolades and recognition for his work, including a Harvey Award, an Inkpot Award, Diamond Gemstone Awards and Wizard Fan Awards. Since becoming Publisher in 2010, Lee has overseen many of the company’s highly successful publishing programs including the recent record-breaking Rebirth line of comics, as well as The New 52 initiative that relaunched the entire line of monthly superhero comic books. As part of the revamp, Lee designed and reimagined the new, more contemporary costumes for some of the DC universe’s most iconic characters, including Batman, Superman and Wonder Woman. Prior to his current post at DC, Lee served as Editorial Director at DC where he oversaw WildStorm Studios and was also the artist for many of DC’s bestselling comic books and graphic novels, including All Star Batman and Robin, The Boy Wonder, Batman: Hush and Superman: For Tomorrow. Andy Kubert began his career at DC comics illustrating the first highly successful Batman Versus Predator and Adam Strange series. Andy went on to Marvel Comics’ popular X-Men title, which was consistently a sales juggernaut and remained their top-selling comic during his six-year run. At Marvel he also illustrated such titles as Ghost Rider, Captain America, Ultimate X-Men and the Marvel 1602 miniseries in which he collaborated with New York Times best-selling author Neil Gaiman and which earned a 2005 Quill Award for Best Graphic Novel. 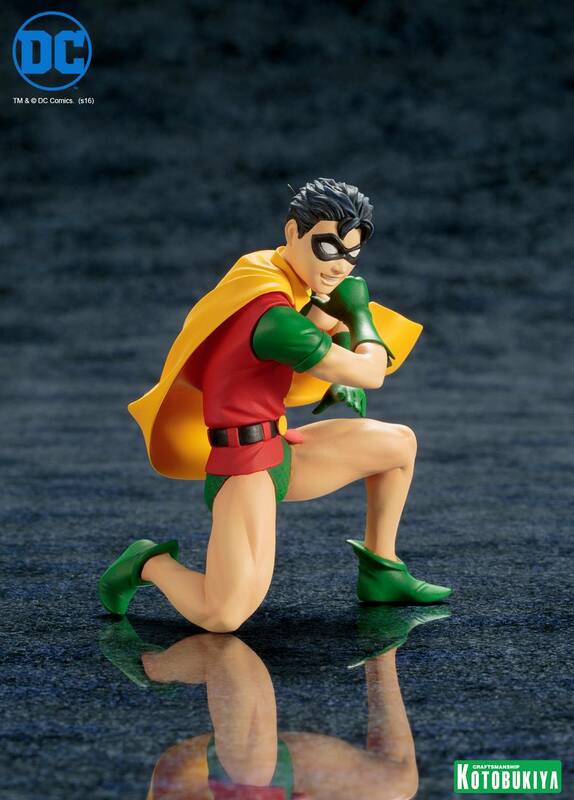 For DC Comics, Andy has illustrated the best-selling Batman and Son (with Grant Morrison), Batman #700, Flashpoint (with Geoff Johns) and Batman: Whatever Happened To The Caped Crusader? (again with author Neil Gaiman). 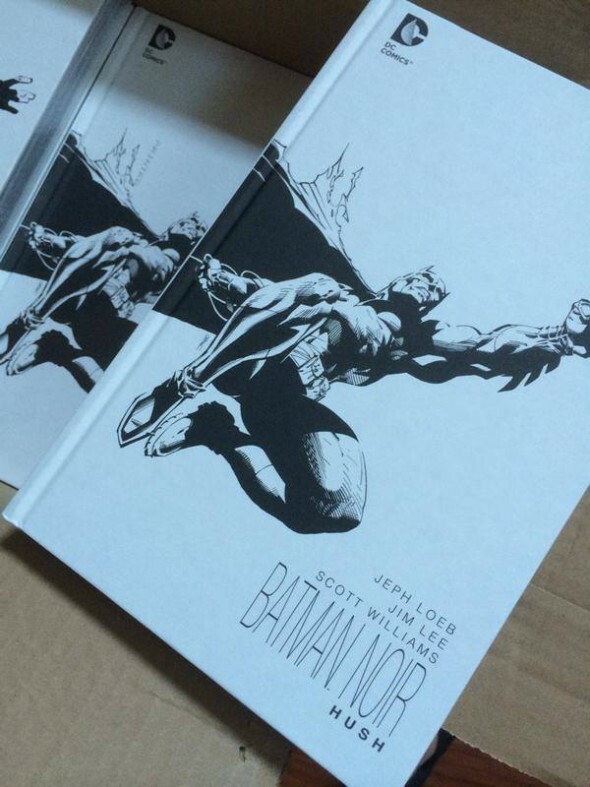 His work has also appeared in other titles including DC Legacies, Action Comics, Before Watchmen: Nite Owl and the Damian: Son of Batman limited series. 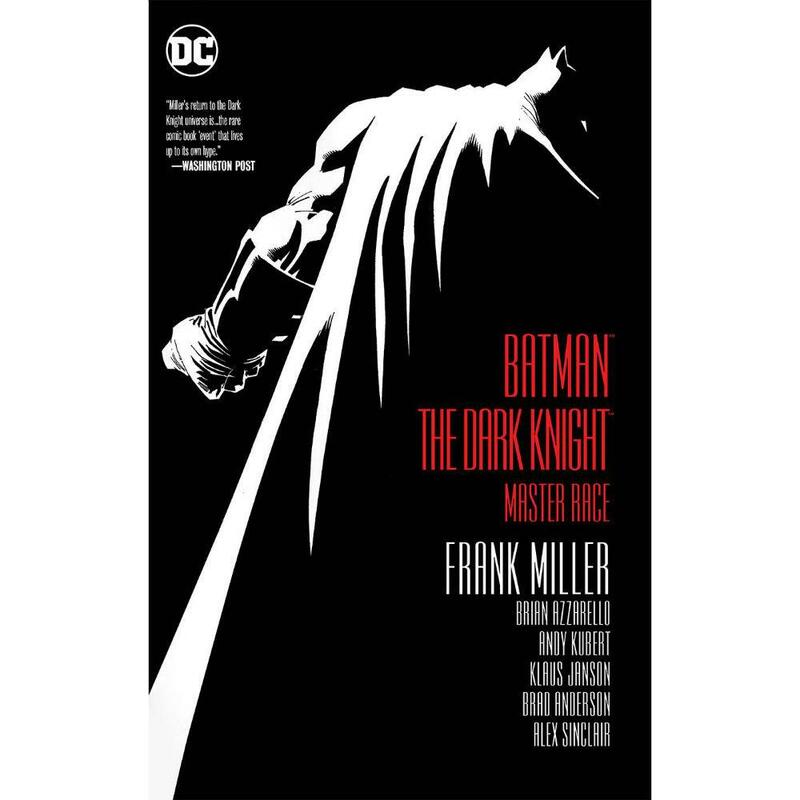 Dark Knight III: The Master Race is Andy’s first collaboration with the legendary Frank Miller, along with writer Brian Azzarello and original Dark Knight inker Klaus Janson. Andy is currently co-president and an instructor at The Kubert School, an institution located in Dover, NJ, dedicated to educating about the narrative art form. This event will be a signing only! Fans must purchase a copy of Dark Days: The Road to Metal or Dark Nights: Metal: Deluxe Edition or Batman: The Dark Knight: Master Race from Vroman’s Bookstore in order to receive a signing line ticket. With purchase of one of those three titles fans may get a maximum of two (2) other items signed. The signing line will be limited to 150 fans only due to Jim and Andy’s busy schedule. 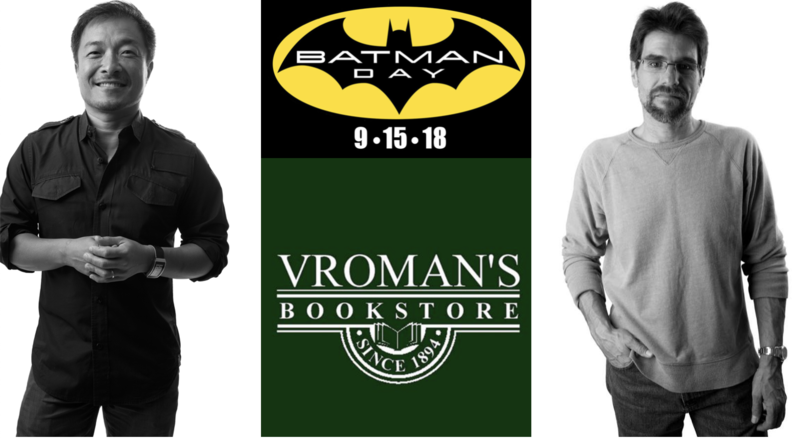 Vroman’s Will Call department will be handling all purchases of Dark Days: The Road to Metal or Dark Nights: Metal: Deluxe Edition or Batman: The Dark Knight: Master Race for the signing starting on Tuesday September 11. No online orders will be accepted for this event. 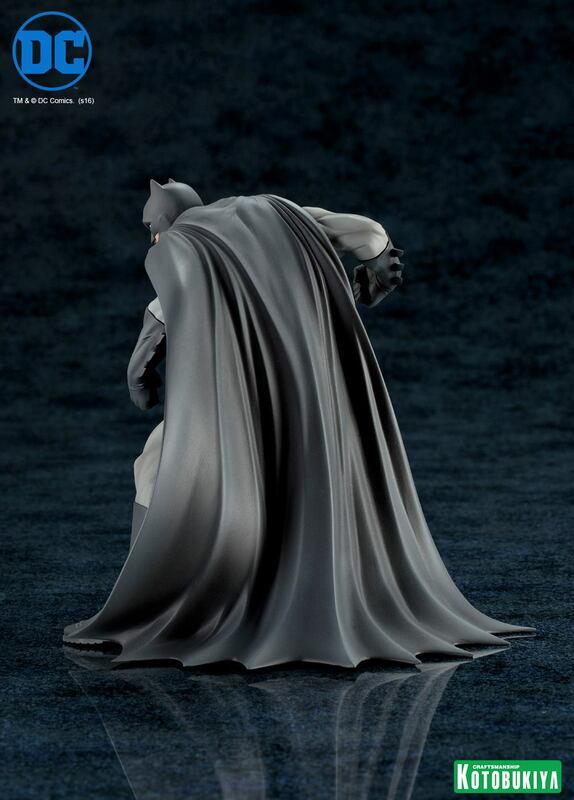 Customers must make your purchase at Vroman’s Will Call window or over the phone and let them know it is for the Batman Day/Jim Lee/Andy Kubert event to receive a ticket to be in the signing line on September 15. Signing line tickets will be available opening on Tuesday September 11. You cannot receive a signing line ticket if you purchase the pre-determined books before this date. The signing will begin promptly at 11am and end at 1pm. 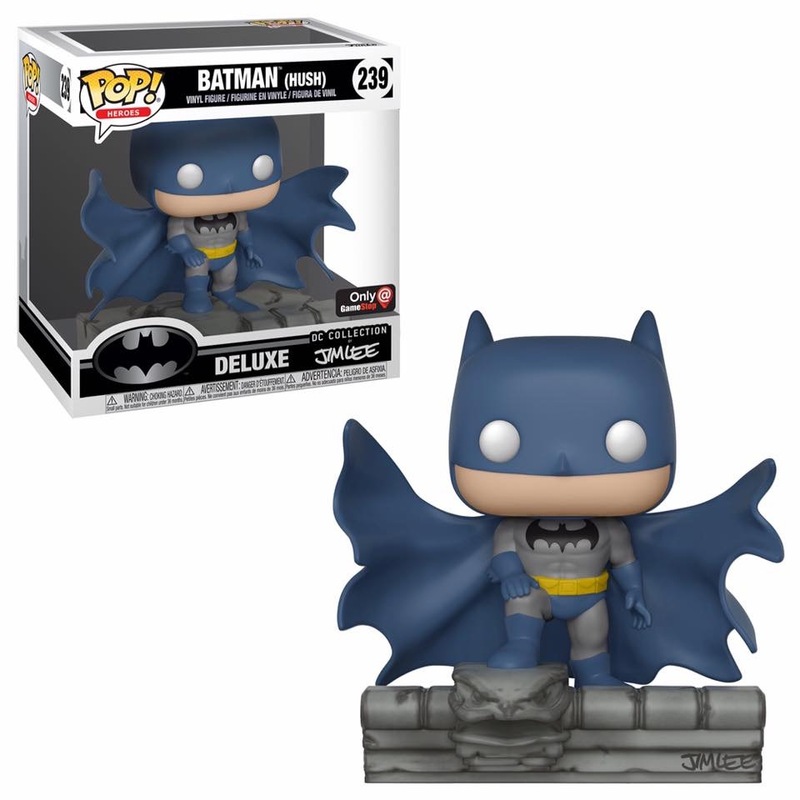 You can now pre-order this Funko POP! 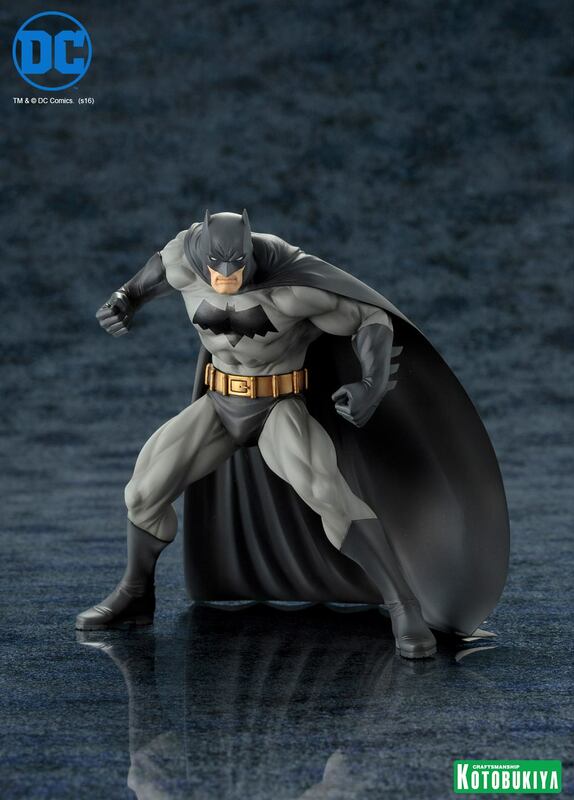 Moments: Batman on Gargoyle from GameStop HERE for $24.99. 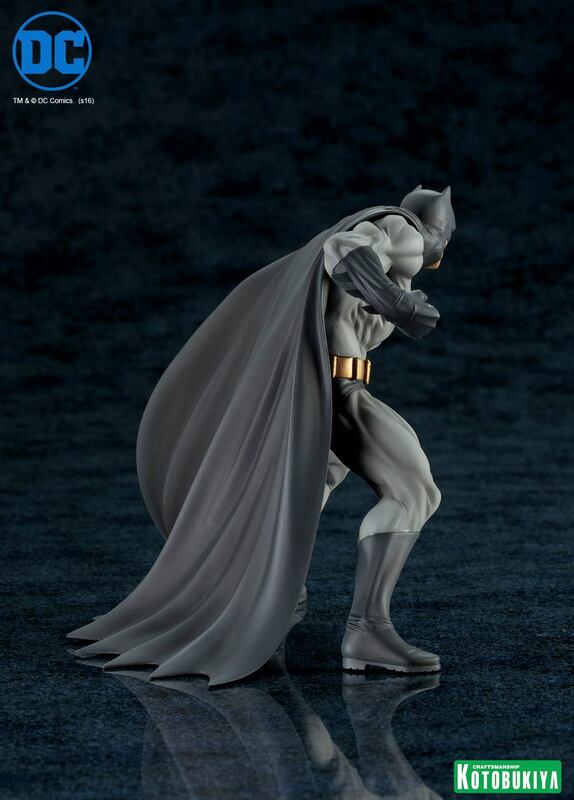 The figure based on Jim Lee’s Batman miniseries, Hush will be available on September 23, 2018. Jim Lee drew and Alex Sinclair beautifully colored this variant cover to issue # 8 of Dark Knight III: The Master Race. The watercolors pay homage to the original Lynn Varley coloring. 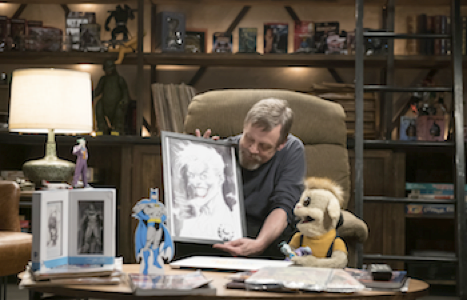 This week sees the debut of Watch Mark Hamill’s Pop Culture Quest on Comic–Con HQ! To celebrate, the first episode is available to fans worldwide via DC Comics. In the pilot episode, “Joker’s Favor,” Mark Hamill heads to DC Comics Headquarters, home to one of the greatest collections of comic book memorabilia and one of the most celebrated artists in the world, Jim Lee. Join them as they share their stories of pop culture collecting and trade favors to end up with their very own pieces of pop culture history. With Mark Hamill (Star Wars) as your guide, explore the most exclusive pop culture collections in the world! Join Mark on his weekly quest to track down the rumored rocket-firing Boba Fett, the original Time Machine, the last surviving armature model used to animate the original 1933 King Kong, the 1992 Batmobile, and so much more! Mark travels inside pop culture’s vaults to uncover why we are so fascinated with collecting and what our passions say about us. Tune in next week on Comic-Con HQ as Mark’s affinity for Godzilla and giant robots leads him to collector Scott Zillner, whose passion transcended his home – filled with thousands of monsters and robots – and led to the creation of Power Morphicon! 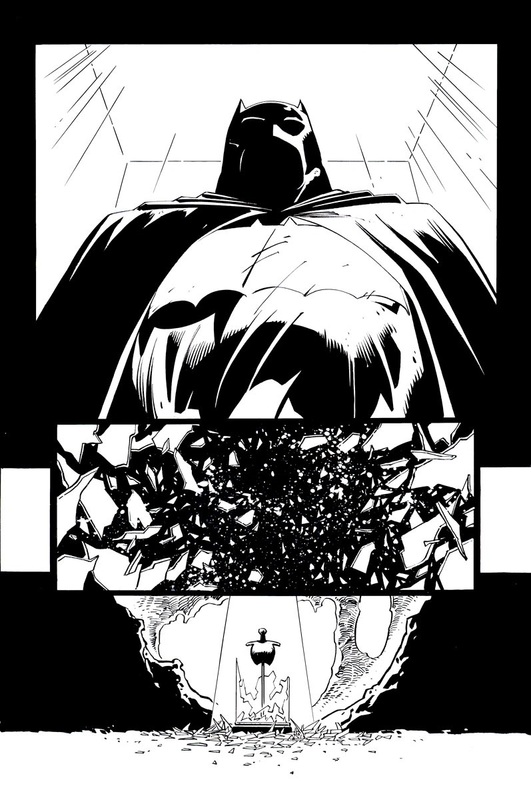 In a new video from DC All Access, DC Co-Publishers Jim Lee and Dan DiDio dive deep behind the scenes of Dark Knight III: The Master Race, exploring the genesis of the series, as well as showing off some previously unseen interior art from series artist Andy Kubert. 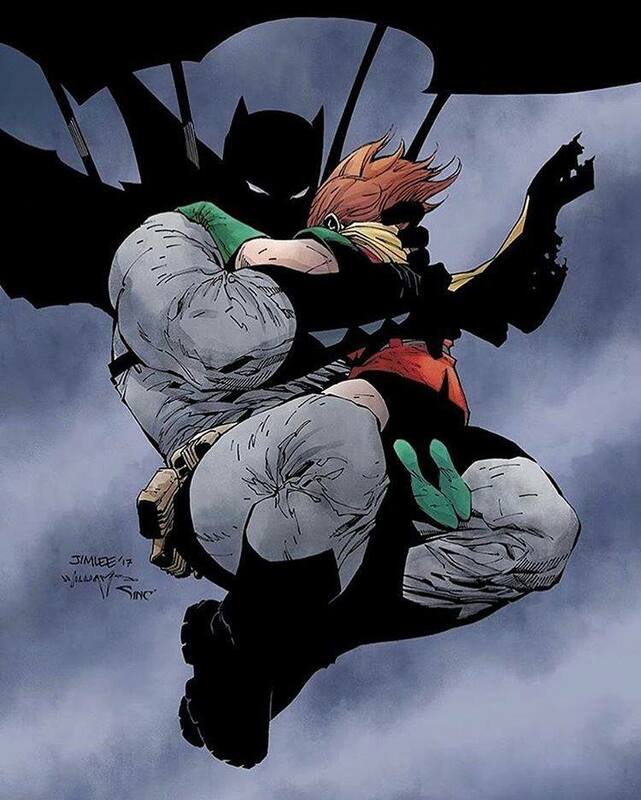 Regarding the origins of the Dark Knight sequel, DiDio revealed that the story originated when DC contacted Frank Miller about bringing Carrie Kelly into the “New 52.” Miller suggested doing a new story in his continuity instead. Initially, DiDio lobbied to do a Dark Knight Universe series showing many characters set in that continuity. The idea evolved into Dark Knight III: The Master Race. 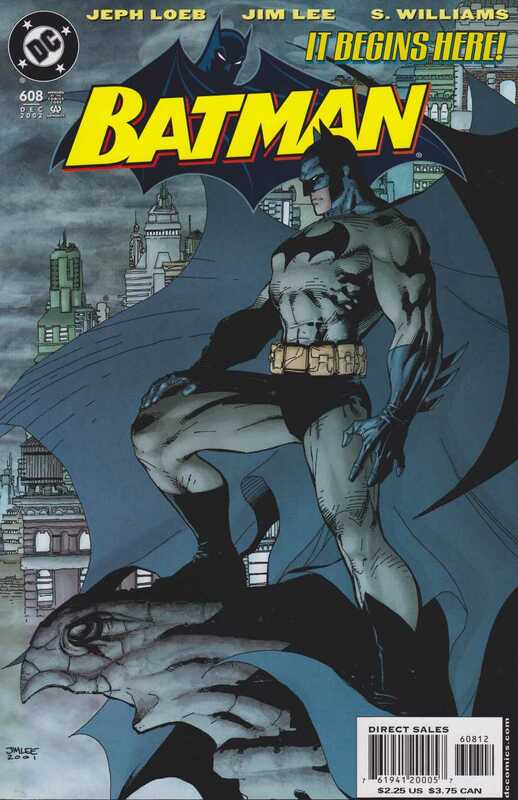 As for Andy Kubert’s interior art, Lee praised Kubert’s ability to emulate Miller’s storytelling prowess, also calling on inker Klaus Janson, who inked the original Dark Knight Returns series, as a throughline for Miller’s Dark Knight continuity. 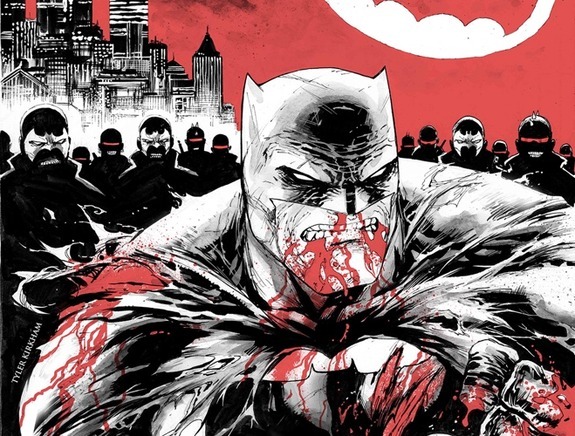 You can check out the entire video, which also reveals details of the slipcase edition of Dark Knight III: The Master Race and shows off several retailer variant covers. 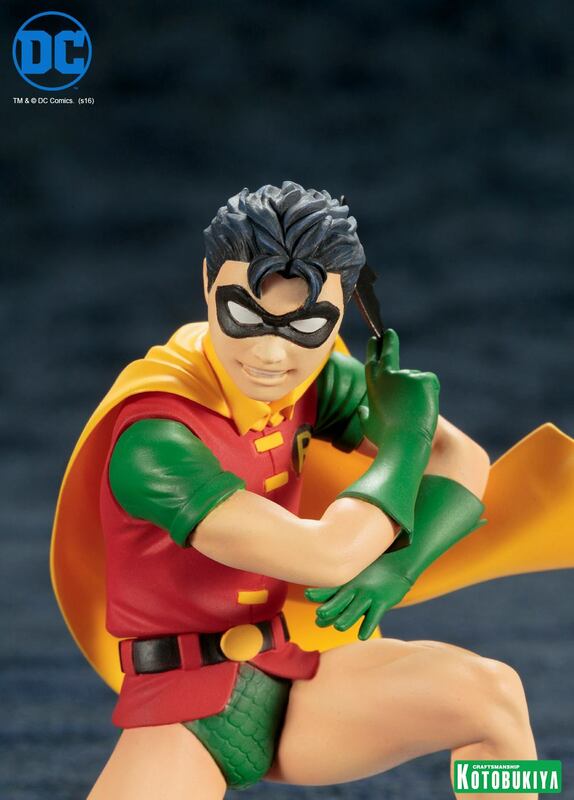 DC Entertainment is bringing back the fan-favorite event celebrating The Dark Knight. 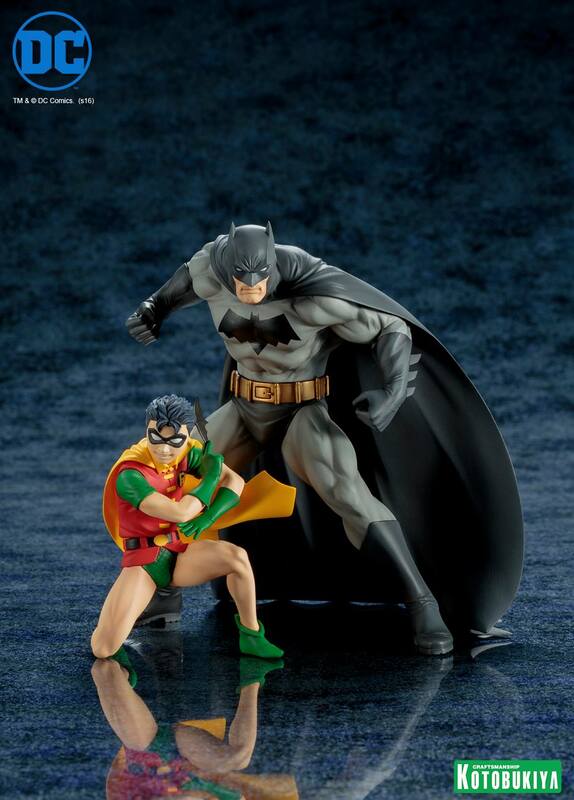 “Batman Day” is back by popular demand and will take place on Saturday, September 26, 2015, kicking off what has become an annual event honoring one of the most popular and iconic Super Heroes and celebrating all Batman books. Fans everywhere are invited to partake in festivities with thousands of comic book retailers, bookstores, schools and libraries participating in the bat-centric event. 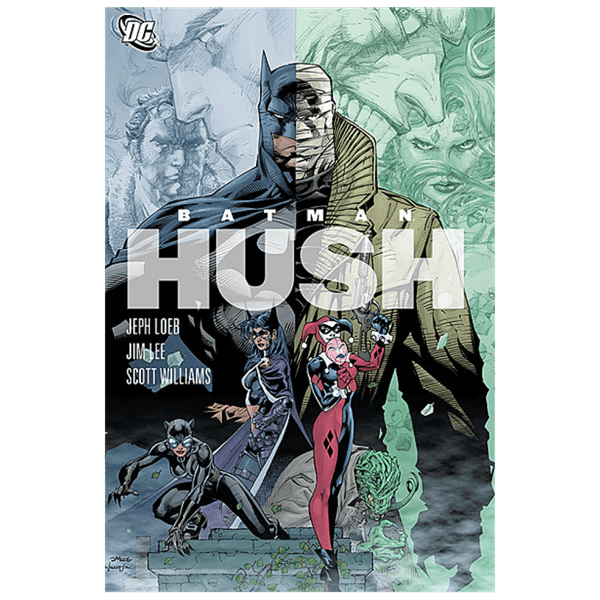 What: Join internationally renowned DC artist and Co-Publisher Jim Lee for a special Batman Day event with a fan signing. Where: Barnes & Noble at The Grove at Farmers Market. Jim Lee’s latest passion project combines two of his great loves: comic-book art and breakfast cereal. 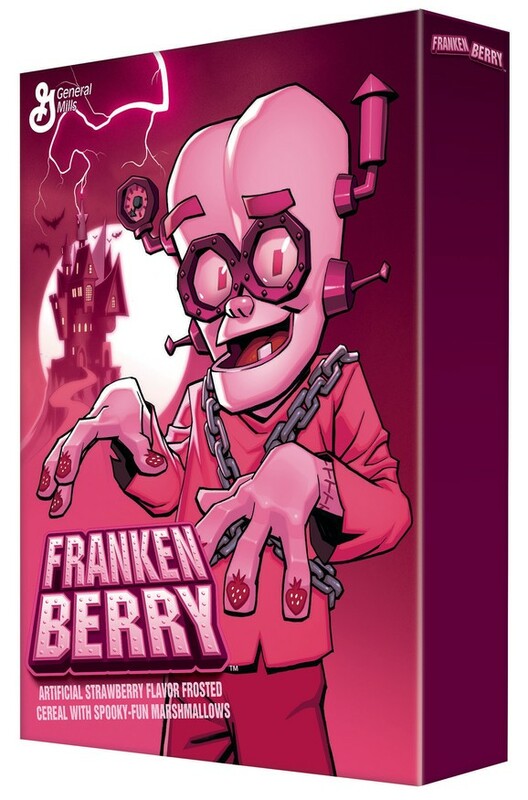 The DC Comics co-publisher and other top illustrators have redesigned the iconic characters of General Mills’ Monster Cereals for this year’s seasonal sugary bonanza right on time for Halloween. 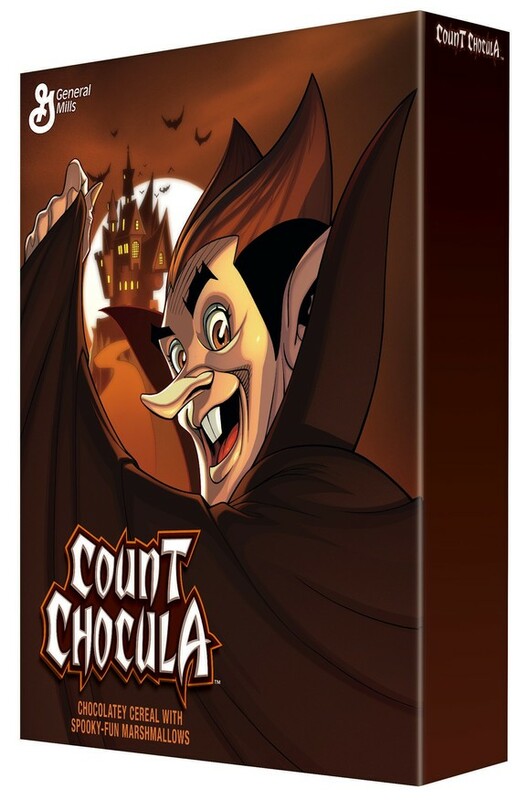 Lee tackled the gentleman ghost for blueberry-flavored Boo Berry, Dave Johnson took on strawberry-rific Franken Berry and Terry and Rachel Dodson were on Count Chocula duty for the chocolate-loving vampire. 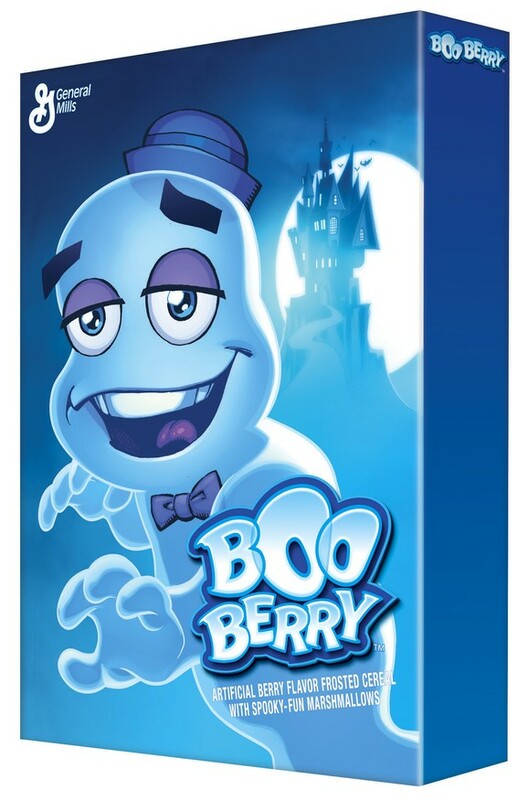 Limited-edition packaging featuring the new artwork will hit select retailers this month before nationwide distribution in September. Read more HERE. 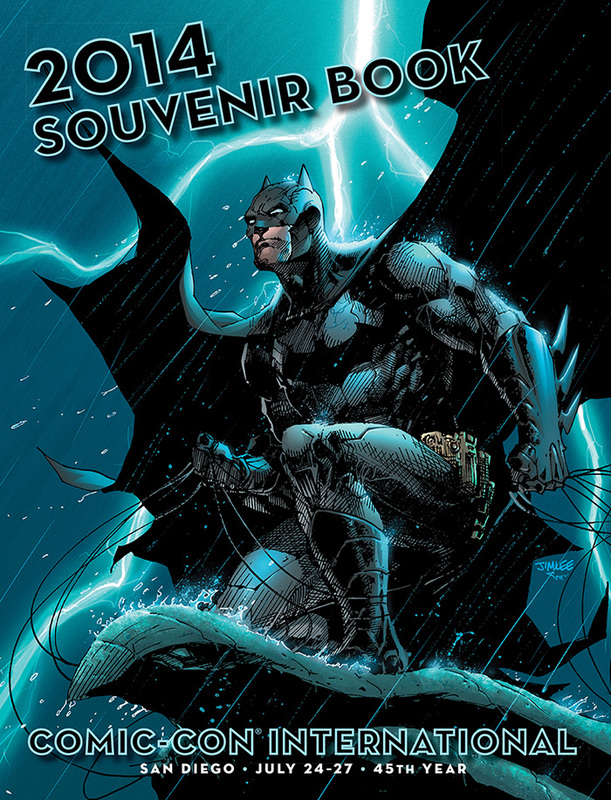 Comic-Con International has debuted Jim Lee’s cover for the 2014 souvenir book which celebrates the 75th anniversary of Batman’s introduction in Detective Comics # 27. Colored by Alex Sinclair, the image of the Dark Knight crouching on one of Gotham City’s ubiquitous gargoyles during a thunderstorm is penciled and inked by Lee. Details about t-shirts bearing the illustration are promised soon. 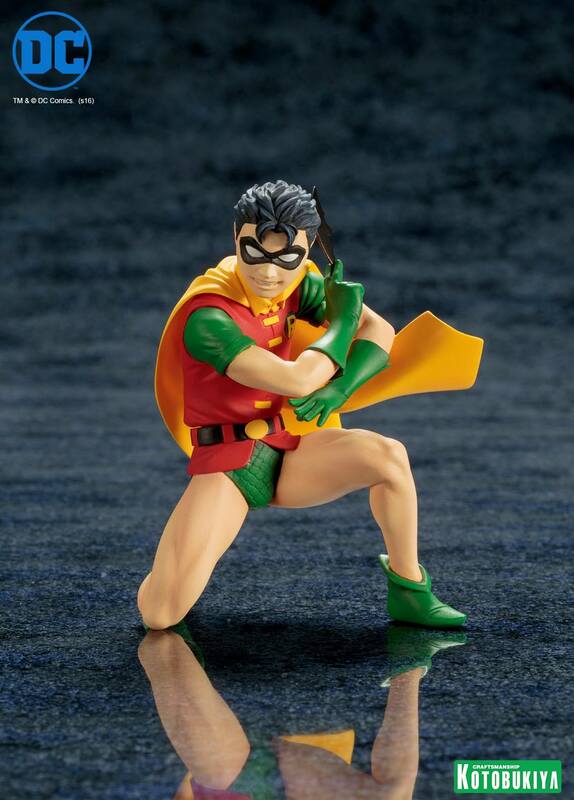 Given for free to Comic-Con attendees, the 224-page souvenir book includes sections devoted to Batman, as well as to the 75th anniversary of Marvel, the 50th anniversary of Daredevil, the 30th anniversaries of Teenage Mutant Ninja Turtles and Usagi Yojimbo, and the 20th anniversary of Hellboy.